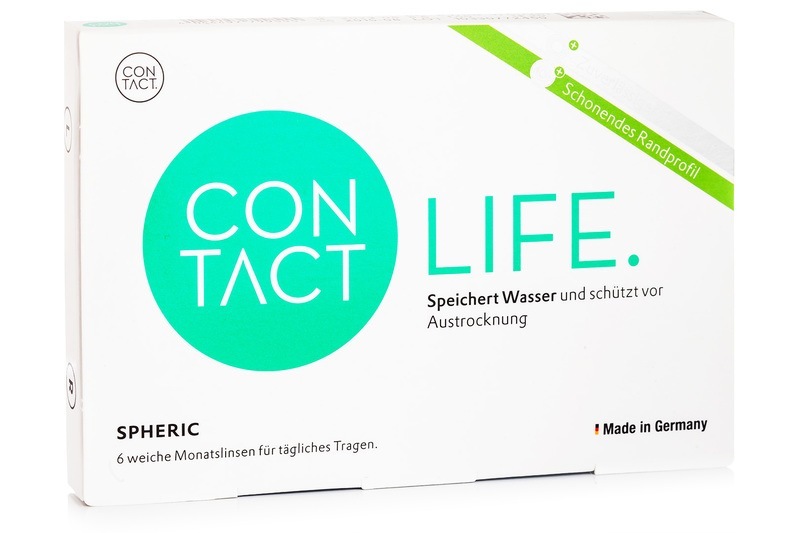 Contact Air spheric contact lenses are specially designed for daily wear, with a monthly replacement cycle. Their silicone hydrogel material does not require additional surface treatment, ensuring an optimal balance between moisture and oxygen permeation. These lenses can be worn comfortably throughout the whole day. Contact Air spheric are ideal for extended work in front of the screen and for all those who are often exposed to dry air. The material development was awarded Sicca. It is extremely thin and its properties are very similar to the cornea. The lens in the eye is therefore not acting as a foreign body and doesn't affect the environment of the eye, which is optimal, especially for sensitive eyes. The great advantage of spherical lenses Contact Life is a high oxygen permeability and high water content at the same time. Customers who bought these lenses also bought Biotrue Multi-Purpose 2 x 360 ml with cases.